To secure and register your brand name it must be unique, not too similar to another registered name, and shouldn’t contain any restricted wording. To check, conduct a Business Entity Search through the state and if there are potential trademark issues conduct another quick search using the TESS System through the U.S. Patent Office. Keep in mind your brand name should contain the words ‘Corporation,’ ‘Company,’ 'Incorporated,' or 'Limited." Abbreviations for these words are also acceptable. If needed, you can file an Application for Reservation of Name and reserve the name for 120 days. 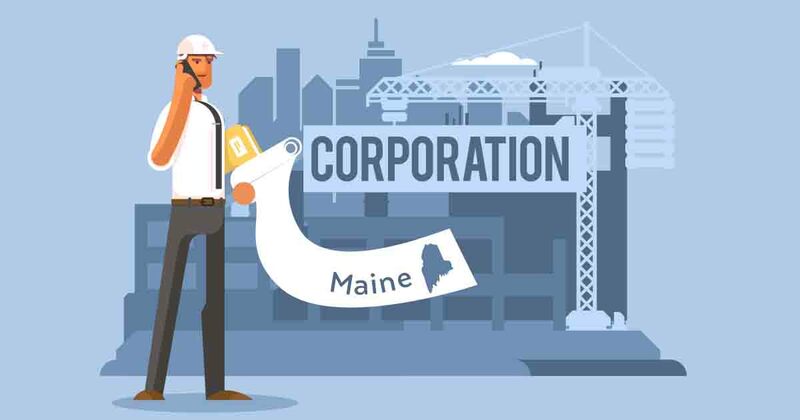 A Maine Registered Agent is a certified individual or business entity that acts as an intermediary, receiving and helping to handle/process all official documents on your brand’s behalf. They must be a legal resident of the state or registered to conduct business and have a Maine street address where they can be reached at all times during regular hours of operation. You can hire an outside professional service and pay up to $160/year, or get a Registered Agent free when registering a corporation through services like Incfile and Incorporate.com. They handle this along with so much more depending on your startup package. A Corporate Records Book, or binder, is where you put copies of all the most important core documents that make your company what it is in the eyes of the law – Articles of Incorporation, Bylaws, meeting minutes, stock certificate ledger, stock certificates, stock certificate stubs, stock transfer documents, etc. It’s very common. Sure, have them online or thumb drive as well, but this is a long-standing tradition for corporations. Approve S-Corp Status (opt.). Record Minutes of Meeting have directors sign, then add to records book. Where you choose to bank is no small matter when we're talking about a corporation. Often startups and solopreneurs just use personal accounts, but that's not going to fly with a corporation. Instead you and your CFO, if you have appointed one, need to find the best bank or credit union to handle the business banking services you'll need to grow. Look at different fee-structures, perks, incentives, and overall costs and savings and think ahead! You could start with a smaller bank for better deals, then switch to a much larger bank when your volume demands it. To get started, check out this quick breakdown of Business Checking Accounts. File for a Employer Identification Number (EIN) for free at the IRS website. Bookmark the Augusta Small Business Administration office and the Corporations Division. Consider professional business license services that take care of the legwork for you.